With a budget of 1000 USD, you're in a fit position to buy a premium gas grill. With this budget, you don't have to look for cheap products that claim rust in a few years or don't include the features you need. 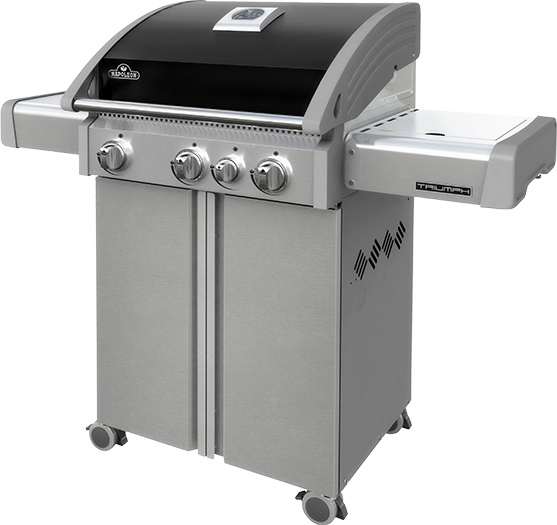 This is a price where you can think of word ’investment.’ So what are the major things you should keep in mind while looking for the best gas grill under 1000 bucks? 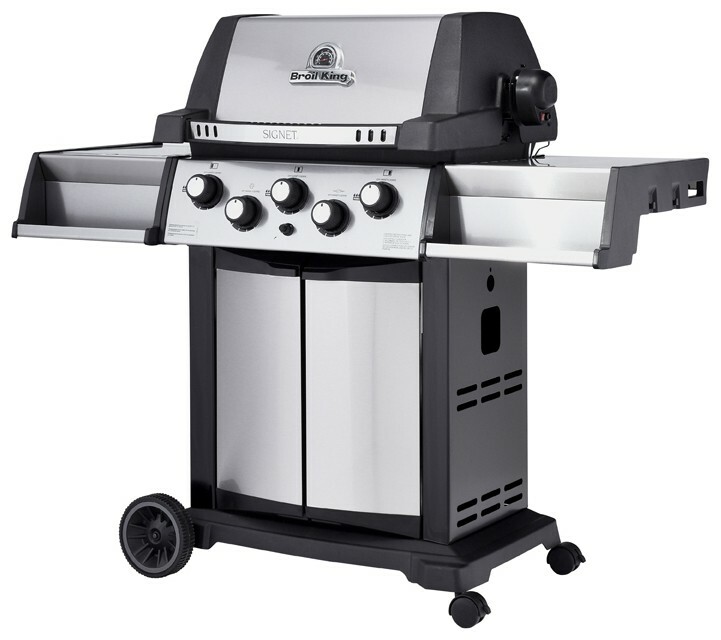 First, look for a gas grill that has lots and lots of cooking power and cooking space. Such that you receive the best of grilled food without making any compromises in space. Second, look for gas grills that feature flavorizer bars, electronic ignition, and high-end construction material. Third, look for a grill that has a storage cabinet or shelf which helps users a lot while stocking condiments and refreshments. There are various models available in the market that varies largely upon price, design, build quality and features. So can you opt for the best model until you've proper knowledge about them? Many of you can't. So in this article, we've assembled five best and top selling gas grills under the selected budget. 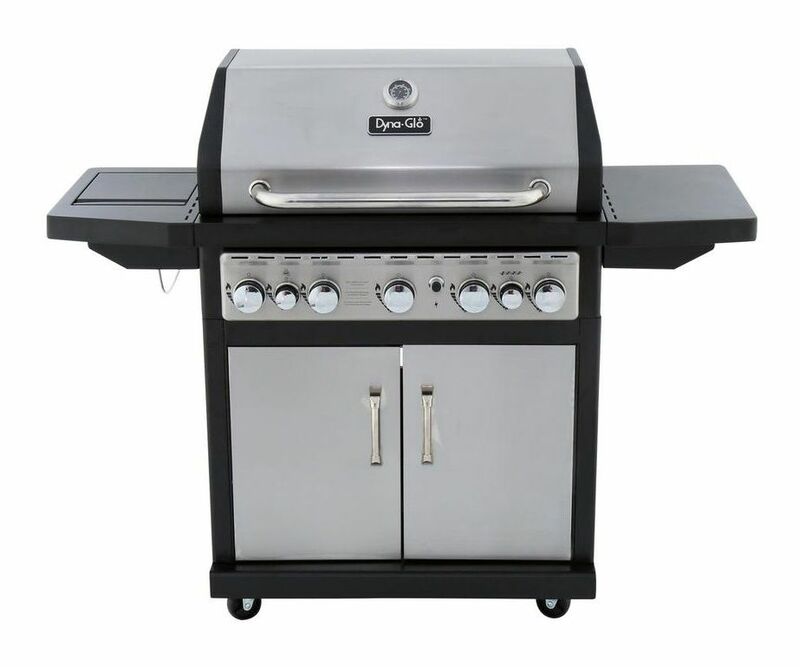 So if you are interested in buying a premium gas grill, make sure to check out our list of best gas grill under 1000 bucks. The 'Genesis’ series by brand Weber is very famous among the customers. And this time, we've its S-310 to look upon. At this budget, this model will surely serve best of its features, aesthetics, and sturdiness. Firstly, this model had three stainless steel burners that can generate a total heat power of 37,500 BTUs per hour, which is perfect for any sear. Talking about cooking space, it has a main cooking space area of 513 square inches, while 156 square inches of warming rack and two high-grade stainless-steel work surfaces. This device comes with porcelain enameled cooking grates, which prevents your meat from burning. Plus, porcelain materials are easy to clean and maintain. Also, it has a special feature of flavorizer bars that maintain the juices of your food and gives you a smoky and aroma-rich flavor. Beside this, it also comes with an electronic ignition system that ensures lighting of burners at the very first attempt. The built-in thermometer gives you the exact temperature readings of the interior. Overall, it's a great option for interested buyers. The design of the grill is heat efficient. The parts of the grills are solid and durable. The customer support from Weber is impressive. It may take little longer to preheat. No doubt, Weber is a top class brand when it comes over gas grills. We've selected another Weber grill called 'LX S-240’ that comes close enough to 1000 USD. This model is found to be an upgraded version in the Genesis series. It is similar to S-310 model but has little bonuses over it. It comes with two stainless-steel burners that can generate total cooking power of 29.000 BTUs-per-hour. Along with this, it has a powerful side burner which has a heat capacity of 12,000 BTUs per hour. With this side burners, your cooking is not just limited to main burners. Looking at cooking spaces, here you get the main grilling area of 380 square inches while the warming rack has an area of 114 square inches. The burners come with the technology of infinite electronic ignition system, prevents you from any hassle while lighting the burners. Beside this, it includes every other feature like fuel gauge, flavorizer bars, grease management system, shroud, built-in thermometer, and heavy-duty caster wheels. Again, a great choice with a bulk of features. 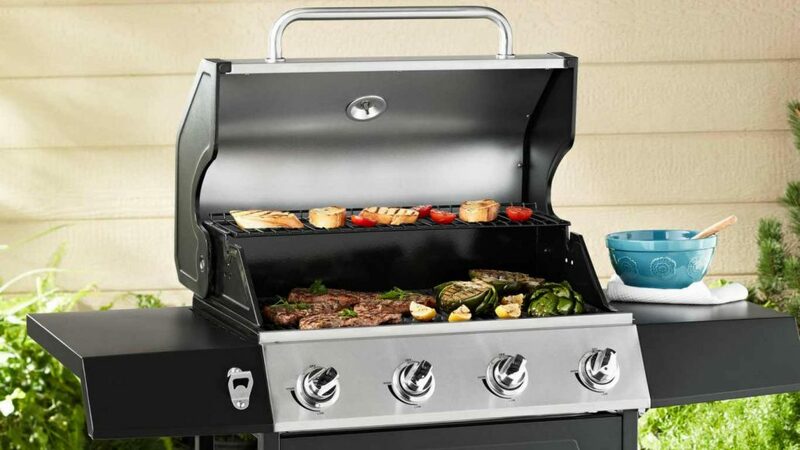 It is built with a GS4 grilling system for better functionality. The grease system keeps grease away from the burners. Large cooking area of 521 square inches. You may find temperature gauge too high for accurate readings. If you're looking for more burners at price tag out 1000(or lower), then we don't think you can find any better option than this Dyna-Glo 5-Burner grill. Talking about burners, this device has a total of five stainless-steel burners, which have a power of 11,000 BTUs (each), while there's also a side burner of 12,000 BTUs and a rotisserie burner of same 12,000 BTUs. Overall, it yields a remarkable cooking power of 79,000 BTUs. Beside this, it has 764 square inches of total cooking space area, and this means you don't have to worry about cooking space. 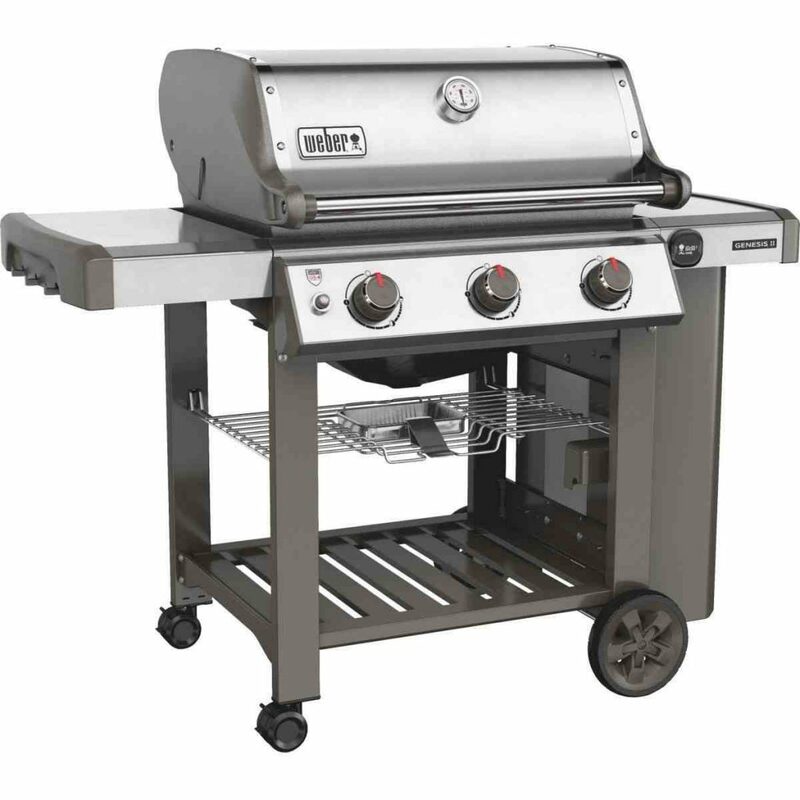 The build quality is super good as it is made of commercial grade stainless-steel material, including three heavy gauges 7mm stainless steel cooking grates and a stainless steel warming rack. It has a built-in temperature gauge that allows you to do precise cooking. Other than this, It comes with side tables and storage cabinet to fix with the problems of storage. At base, there are caster wheels with a locking mechanism that provides proper mobility and stability. It has a huge cooking space area of 764 square inches. The five stainless steel burners yield heat output of 55,000 BTU. You've to pay attention towards the flare-ups. Napoleon T410SBPK is one of the most appreciated models across the market. It has almost everything that can make your evenings delicious. Let us know quickly look over all its feature and details. This model has three main burners and one side burner, allows you to prepare various types of food simultaneously. All the four different burners have a capacity of 44,700 BTUs-per-hour that allows you to perform mild as well as sophisticated cooking. Also, it has a total cooking surface area of 550 square inches, which is large enough to cook 25 hamburgers. The porcelain-enameled cooking grates not only features proper cooking but are also easy to clean. It has two side shelves at both its ends which can be folded-off when you don't have to use it. One cool thing about this model is its integrated bottle opener; this means you don't have to miss the party for searching it. At the bottom, four caster wheels come with a locking mechanism, which means your appliance will not slide-on when placed at a place. Overall, it is another great option for the buyers. The caster wheels at the bottom make it easier for you to move it. The porcelain-enameled cooking grates ensure consistent heat. The stainless steel burners are durable and easy to clean. Propane fuel may release smoke having a foul smell. If you have a budget of about 700, then Broil King Signet 90 can be a solution for you. You might face some difficulty in the beginning while assembling it, but believe us, later on, you'll fall in love with this. Talking about looks, it is elegantly designed and build with made from thermal cast aluminum oven with stainless steel wrap. The device has three dual tube stainless steel burners that give a total heat power of 40,000 BTUs-per-hour. Beside this, there's also a rotisserie burner of 15,000 BTUs and a side burner of 10,000 BTUs-per-hour. With this side burner, you can do many more things like preparing sauces, soups, etc. This device has no complaints regarding cooking space as it comes with 635 square inches of total cooking space area. Out of this 635 square inches, 400 square inches is reserved for primary cooking space. At the control panel, there are various l knobs through which you can regulate the rate of burn. With a side table and a large enough storage shelf, this device is surely a top-ranked product. It is capable of providing high temperature constantly. The grill is easy to fire up with a single button. It doesn't yield ashes and oil which are difficult to clean. Meals may take longer time to get prepared. 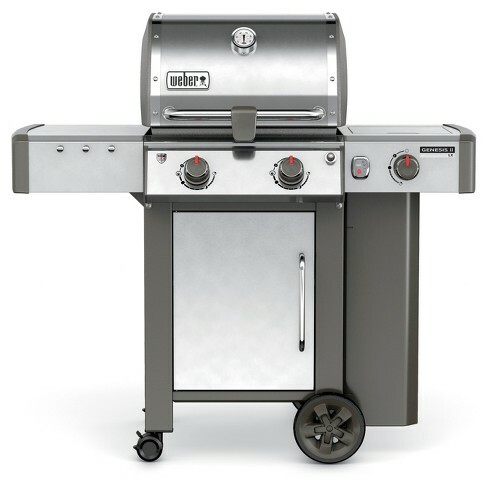 Although there are hundreds of models available in the market under 1000 bucks, these were some of the best gas grills under 1000 bucks available in 2019. Hope we helped you find the right gas grill for you. Happy grilling.